When the motor shaft on an obsolete 108 U-frame motor broke, half of a customer’s refinery operations shut down. 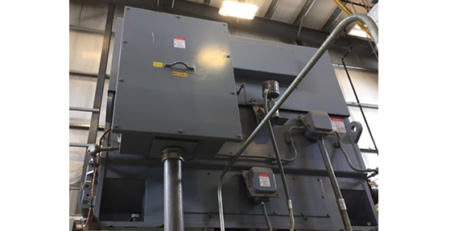 The motor shaft had just been repaired by a local repair shop and no replacements were available anywhere, so the customer needed a fast solution from IPS. The distribution specialists at IPS Litchfield proposed modifying a 200HP Siemens T-frame motor, converting it from ball to roller bearings in the shop and adding an adapter base. The customer agreed and IPS started work. With the transition base supplier closed for the holidays, IPS Litchfield created the riser block drawing in AutoCAD, working with a motor drawing provided by the customer. Once the customer signed off on the modifications, IPS Litchfield made the riser blocks and overnighted them to the customer. The customer is now a believer in the Unmatched Customer Experience, with a complete value-added distribution solution delivered days after the motor failure. The modified T-frame motor eliminates any problems resulting from the defective repair of the obsolete unit and offers performance and reliability customized for the specific application. For more information about IPS Distribution and add-on services, visit www.ips.us/sales.